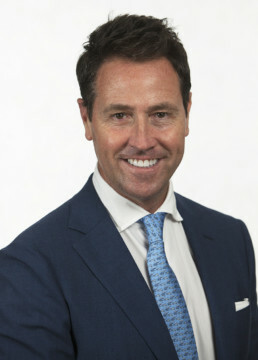 Ashton J. Hayward III joined AREF as President in January 2019. 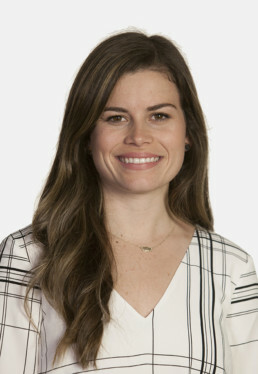 A native of Pensacola and a graduate of Florida State University, Hayward previously worked in New York as an executive at the AT&T Corporation and the Financial Times. In 2003, Hayward and his wife An returned to Pensacola to raise their son, Aiden. Hayward founded a successful real estate development company, which he managed until taking office as Mayor of Pensacola in 2011. Hayward led regional economic development by working to create a cultural environment where businesses grew and thrived. Active in public service on a local, regional, and statewide level, Hayward was appointed by Florida Governor Rick Scott to the Florida Commission on Community Service, also known as Volunteer Florida, and is a member of Leadership Florida’s Cornerstone Class XXXVI. Locally, Hayward has actively supported organizations including Autism Pensacola, the Gulf Coast Kids House, and the PACE Center for Girls. 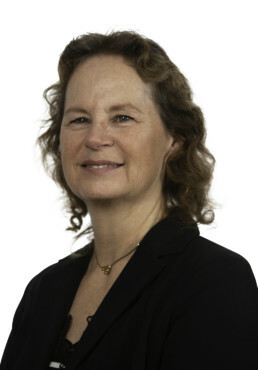 Hayward also currently serves on the Board of Directors for Achieve Escambia and as a member of the Escambia County Infant Mortality Task Force, and has previously served on the board of directors for the Florida League of Mayors and as a member of the Northwest Florida Transportation Corridor Authority. Having a vast repertoire in leadership and financial development, Hayward now utilizes his experience to further the goals and mission of world renowned orthopaedic surgeon, Dr. James R. Andrews. Through his work as President of AREF, Hayward will continue to lead his team into the future of health education and research to promote sports medicine. 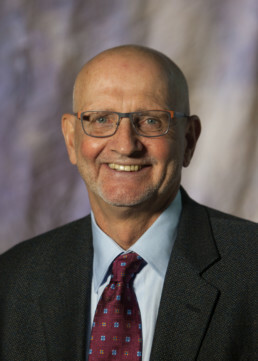 Dr. Fleck has a long history as a successful administrator and researcher and is the Executive Director of the Andrews Research and Education Foundation (AREF). In this role he is responsible for all educational and research programs of AREF. Prior to coming to AREF he was the Chair of sport science and kinesiology departments at several universities and also served as a program director for the US Olympic Training Center in Colorado Springs. While with the US Olympic Training Center he advised coaches and athletes on training as well as performing research on athletic performance and physiological adaptations to training. 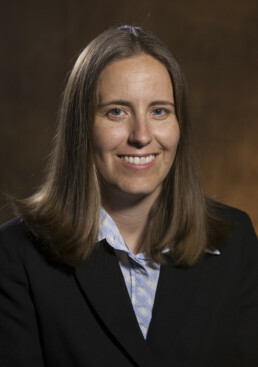 Dr. Fleck’s research interests range from physical training’s effect on injury prevention, physiological adaptations to training, the application of research to optimize physical training program design to improve performance and prevent injury, and adaptations to training in individuals with diseases, such as leukemia, cystic fibrosis and McArdle disease. He has authored several books on the physiology of resistance training and exercise physiology. Dr. Fleck has also authored numerous peer-reviewed research and lay articles in the area of sport science and exercise physiology. He is a Fellow of both the American College of Sports Medicine and National Strength and Conditioning Association. Dr. Fleck is a past president of the National Strength and Conditioning Association and has been honored by receiving both the National Strength and Conditioning Association’s Sports Scientist of the Year Award and the Lifetime Achievement Award. Leandra completed her undergraduate work at Quinnipiac University in Athletic Training/Sports Medicine. She continued to obtain her Masters degree at Troy University in Sports and Fitness Management. She moved from New Jersey where she worked as an athletic trainer at Hillsborough High School and spent two seasons for Sky Blue FC, a National Women’s Soccer Team. Leandra moved down to Florida to work as a clinical outreach athletic trainer for Andrews Institute at Washington High School in Pensacola before joining the Andrews Research & Education Foundation team as the Education Manager. Leandra manages and coordinates all educational events for AREF. Events include weekly Sports Medicine Fellowship Conferences, annual Injuries in Football Conference, and many others throughout the year. Leah grew up in Pensacola, and received her Bachelor of Science in Business Administration from Tennessee Technological University in Cookeville, Tennessee. For fifteen years she worked at the University of South Carolina School of Medicine, Department of General Surgery. 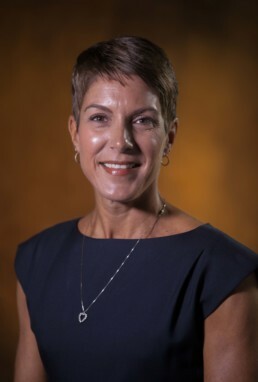 She was the administrative assistant to the trauma faculty before becoming the Residency Coordinator for the General Surgery Residency and Surgical Critical Care Fellowship. Leah Johnsey has been with Andrews Research & Education Foundation since September 2016 as the Fellowship Manager. In this role, she coordinates the ACGME-accredited Orthopaedic Sports Medicine Fellowship and Primary Care Sports Medicine Fellowship. She is also responsible for the Foot & Ankle Fellowship and the ATC Fellowship. Drew Skidmore currently facilitates research and lab related needs, including but not limited to specimen ordering, lab setup, assistance during lab, and cleanup. Drew was born and raised in Milton, FL, and earned his BS/HS in healthcare administration from the University of West Florida in 2012. 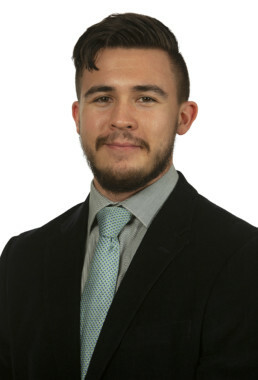 Drew has been a part of Andrews Research & Education since January 2012 working as the clinical research assistant, which further helps to supplement his duties related to the surgical skills laboratory. 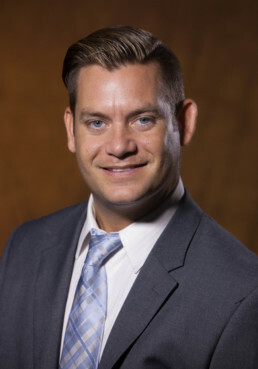 His background and experience comes from 10 years of direct patient care working as a medical assistant in hospitals, physician offices, urgent cares, and intensive care settings. 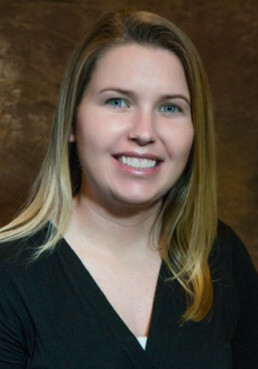 Sarah completed her Bachelor’s of Science in Athletic Training at the University of West Florida in 2018 and has been with Andrews Research & Education Foundation as a Clinical Research Coordinator since February of 2019. She has previous experience working as an Athletic Trainer with youth football and high school sports. She previously interned with AREF in clinical research during her senior year of college. With an enthusiasm for quality patient care, Sarah is committed to her work in orthopedic research here at AREF. Mikala has been apart of Andrews Research and Education Foundation since March of 2018 as one of the Clinical Research Coordinators. She is originally from the Pensacola, Florida area and graduated from The University of Florida with her Bachelors of Science in Health Education. She had 3 years of experience in clinical research, as well as 1 year assisting patients in the Emergency Room setting before joining the AREF team. With a passion in promoting health, Mikala takes pride in using her experience and dedication to improve patients’ quality of life through orthopedic research at AREF. 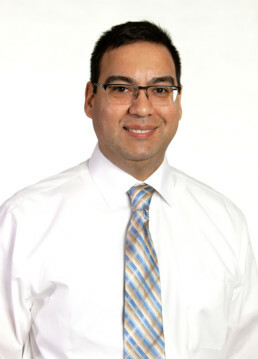 Johnny was born in East Chicago, Indiana but grew up in Puerto Rico, where he received his Bachelor of Science degree in Applied Physics from the University of Puerto Rico in Humacao. Prior to joining the AREF team, he demonstrated a 15 year history of working in highly-regulated chemical and pharmaceutical industries. Johnny is skilled in analytical chemistry, microbiology, environmental monitoring testing, and laboratory management. Hillary completed her undergraduate studies at Georgia College & State University in Exercise Science. She then obtained Master’s degree in Athletic Training from the University of Arkansas before she completed a PhD in Kinesiology at Auburn University. Following the completion of her PhD studies, she did a 2-year postdoctoral fellowship at the University of Southern California under the direction of Dr. Lori Michener. The focus of her research is to identify deficits in modifiable physical factors that prognosticate upper extremity injuries in overhead athletes. The long-term goal of this work is to identify athletes who may be at an increased risk of injury, and to establish a foundation for prevention programs aimed at reducing upper extremity injury. Dr. Nicole Rendos is an athletic trainer and sports medicine researcher with a research interest in neuromuscular physiology and motor unit behavior following orthopedic injury. 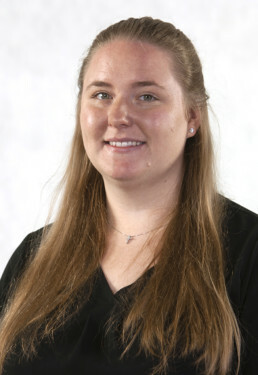 Nicole obtained a Bachelor of Science at West Virginia University and a Master of Education at the University of Virginia, both in Athletic Training. She received a Doctor of Philosophy in Exercise Physiology with a concentration in Biomechanics under the direction of Dr. Joseph Signorile at the University of Miami. 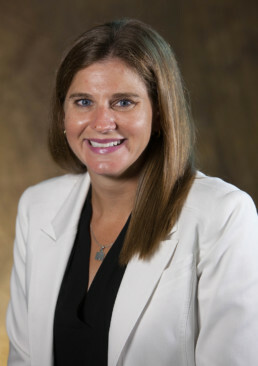 Following a year as a Visiting Assistant Professor of Exercise Science at Winston-Salem State University in North Carolina, Nicole decided to pursue a research-focused career and furthered her education with a postdoctoral fellowship in neurophysiology at Florida International University under the direction of Dr. Laura McPherson in the Department of Physical Therapy. 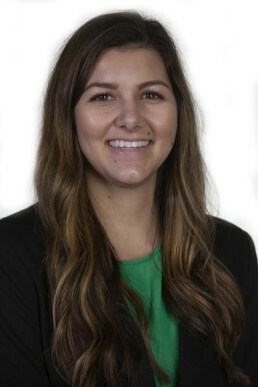 Lauren has been with Andrews Research and Education Foundation since January 2019 and works as a Clinical Research Coordinator. She is originally from Panama City, FL but relocated to Pensacola to complete her Bachelor’s in Biomedical Science at the University of West Florida. Prior to joining the AREF team, she had 2.5 years of experience in clinical research working with physicians in many different specialties. She has 3 years’ experience working with physicians and patients in the Emergency Department, and 2 years’ experience in the Family Practice setting prior to joining the AREF team. She maintains certification as a Clinical Medical Assistant. She has a strong passion for improving patients’ quality of life through patient education and research development. Manuela joined Andrews Research & Education Foundation in August 2018 as Accounting Manager. This job entails managing all aspects of accounts receivable and payable for all research projects, educational events and other activities of AREF in addition to establishing budgets and maintaining documentation for sponsored clinical trials and research projects. She brings over 25 years of comprehensive accounting experience in both non profit and for profit accounting. She graduated from the University of Oklahoma with a BBA in Accounting. Born and raised in Germany and being in a military family she’s lived numerous places including England and Hawaii. She recently relocated from Washington state. In Washington she worked nine years with Compass Health, a private non profit organization providing mental health and chemical dependency services and ten years with The Everett Clinic, a physician led group offering primary and specialty care.